What to know about the 1839 slave revolt aboard The Amistad and US Supreme Court decision. In 1839, a group of Africans from the country of Sierra Leone are kidnapped and put on a Spanish slave ship known as the Tecora. 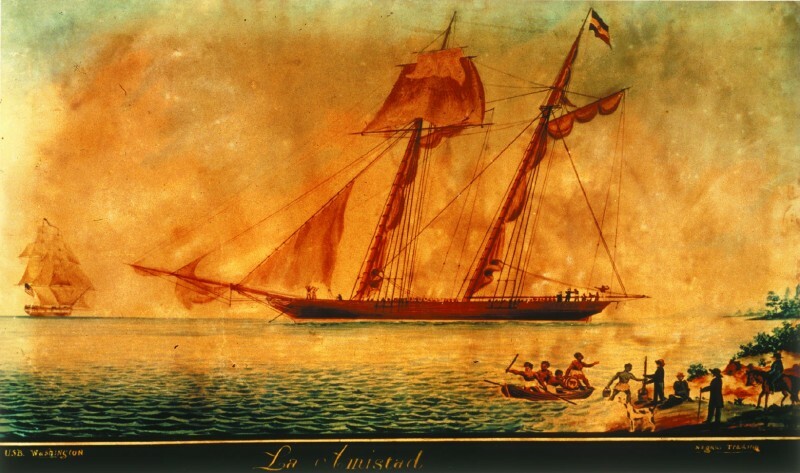 The Tecora sails from Africa to Havana, Cuba, where the slaves are reloaded onto the Spanish vessel La Amistad (Friendship) to be sold in the Cuban city of Puerto Principe. They embark on what’s supposed to be a four day journey with only four days of supplies. One of the Africans named Cinqué freed himself and the other captives using a file that had been smuggled aboard by a woman slave. Portrait of Sengbe Pieh (Joseph Cinqué) by Nathaniel Jocelyn. The African’s killed the ship’s cook, who had told them earlier that they were to be cooked and eaten. They also killed the ship’s captain. Two sailors escaped in a lifeboat, and two slaves were killed in the revolt. Two sailors were spared on the condition that they would return the ship to Africa. 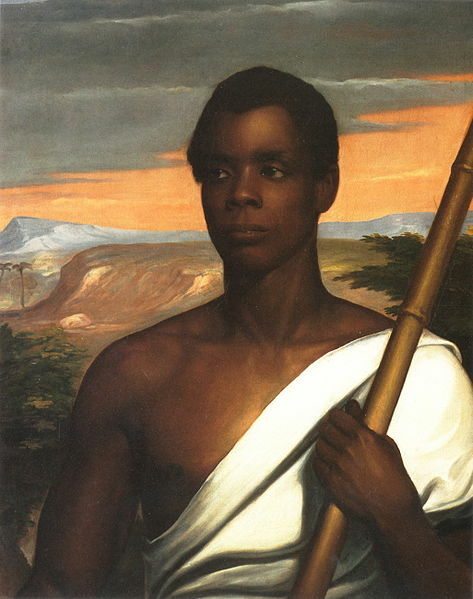 The Captain’s slave, Antonio, was also spared and was used as an interpreter between the sailors and the Africans. The crew deceived the Africans and sailed North at night in order to draw attention to themselves by the Americans. They anchored off of Montauk, Long Island to get supplies, and were intercepted by the USS Washington. Lieutenant Thomas Gedney of the USS Washington took custody of the Amistad and the Africans. Gedney purposely took them to Connecticut where slavery was still legal, in an attempt to profit off of his findings. He gave up the Africans to the US District Court of Connecticut. A HUGE legal battle ensues between multiple international parties, current and former Presidents, and Kings and Queens. Lt. Gedney wants the ship and the slaves. Queen Isabella II of Spain and the Spanish sailors want the slaves returned to them. The British get involved since they have a treaty with Spain, and wish to stop Spanish slaving all together, and Roger Baldwin with the help of John Quincy Adams represents the Africans. 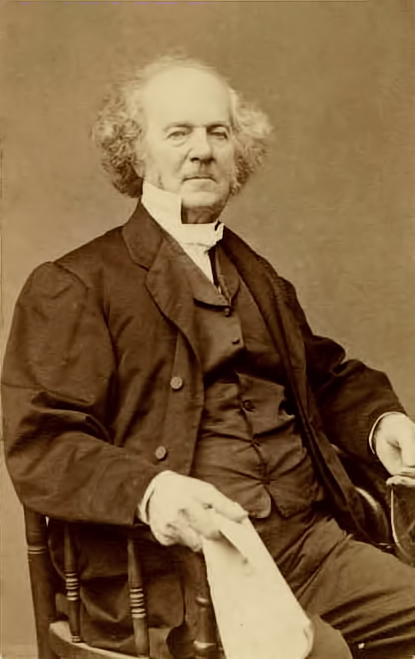 Concerned about relations with Spain and his re-election prospects in the South, the Democratic President Martin Van Buren sided with the Spanish position. He ordered a U.S. schooner to New Haven Harbor to return the Africans to Cuba immediately before any appeals could be decided. That decision was challenged in the courts and the case ultimately landed in the Supreme Court in the case US vs. The Amistad. The Supreme Court decision comes down in favor of the Africans and orders them freed to return home. Abolitionist supporters took the survivors – 36 men and boys and three girls – to Farmington, a village considered the epicenter of the Underground Railroad. Their residents had agreed to have the Africans stay there until they could return to their homeland. A group formed to assist the Africans known as “The Amistad Committee” instructed the Africans in English and Christianity, and raised funds to pay for their return home. Along with several missionaries, in 1842 the surviving 36 Africans sailed to Sierra Leone. Numerous members of the Amistad Committee later founded the American Missionary Association, an evangelical organization. In the following years, the Spanish government continued to press the US for compensation for the ship, cargo and slaves. Several southern lawmakers introduced resolutions into the United States Congress to appropriate money for such payment but failed to gain passage, although supported by Democratic presidents James K. Polk and James Buchanan. A movie, Amistad (1997), was based on the events of the revolt and court cases, and Howard Jones’ book, Mutiny on the Amistad: The Saga of a Slave Revolt and Its Impact on American Abolition, Law, and Diplomacy. 12 Years a Slave – The True History of Solomon Northup and His Mysterious Life After Slavery Exploring the depths of the Mel Fisher Museum in Key West, FL A Visit to Fort Snelling – Minneapolis, MN What Do You Know About Cuban History?